Outdoor workers should know the signs of heat illnesses, including heat rash and heat exhaustion, so they know when to seek treatment to prevent more serious complications. With summer in full swing and temperatures across the nation only likely to get warmer before getting cooler, it’s important for those who work outdoors to know the signs of heat illnesses – including heat cramps, heat exhaustion and heat stroke – so they know when to seek treatment to prevent more serious complications from arising. In the worst cases, heat illnesses can lead to life-threatening complications without the proper treatment. 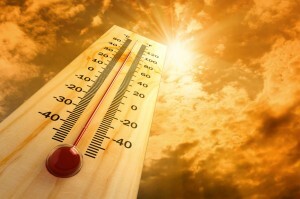 While those who regularly work outdoors, such as landscaping employees, road repair workers, lifeguards and construction workers, have a high risk of developing heat illnesses in the summer months, so too do individuals who are required to wear heavy clothing and/or protective equipment while working outside. Skin infections, which can develop if heat rash is left untreated. Although heat rash is a heat illness that does not necessarily require medical attention, individual who have persistent heat rash (i.e., a heat rash that lasts for more than 4 days) and/or who begin to develop a fever should see their doctors to prevent more serious complications from arising. Although heat exhaustion is not as severe of a heat-related illness as heat stroke, without the proper treatment (including rest, drinking fluids, getting out of the heat and taking cold showers), heat exhaustion can lead to heat stroke. As a result, if these treatments do not help heat exhaustion to subside within about 30 minutes, affected workers should seek immediate medical attention.